To us, Anam Cara symbolizes the long journey we have taken to make wine. This is the story of the people and vineyard behind Anam Cara wines. Anam Cara is Celtic for "friend of my soul"
The words Anam Cara are Celtic for "friend of my soul" and represent rare friendships that transcend time and distance. Originally from Lodi, California (Nick) and Scotland (Sheila) the couple met in London while Sheila was in Public Relations and Nick was the European Marketing Manager for a US-based corporation. When Nick returned stateside in 1981, they were married in Cambridge, Massachusetts. Together, they opened a small chain of family-serving pizza parlors first in Benicia, California, and then in the Napa Valley. It was when they moved to St. Helena that their immersion in the world of wine began. Sheila resumed her PR career and worked alongside many of the top names in wine, while Nick oversaw the restaurants which continued to serve the wine community. In 2001, the family came to Oregon, purchasing a rundown walnut, plum and filbert orchard which was to become the home of Nicholas Vineyard and Anam Cara Cellars wines. 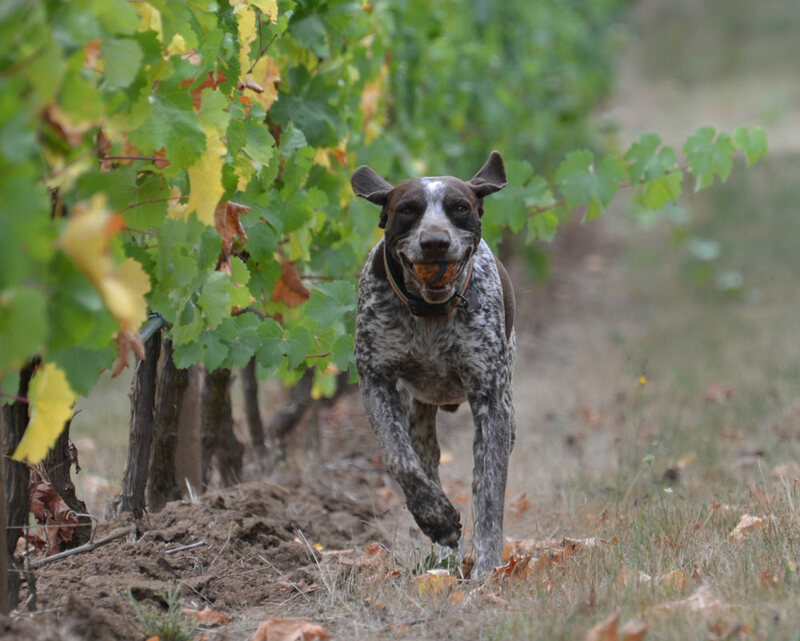 Nick and Sheila continue to farm the vineyard, assisted by their two dogs, Buck and Missy who welcome visitors and help keep the vineyard gopher free. Each of our wines is from the vineyard we live in and planted ourselves. Enjoy with good friends over a memorable meal. Before the property was planted, it was an overgrown walnut, filbert (hazelnut) and plum orchard. Several of the old fruit trees from the original farmstead remain, and produce apples, cherries, quince and pears. 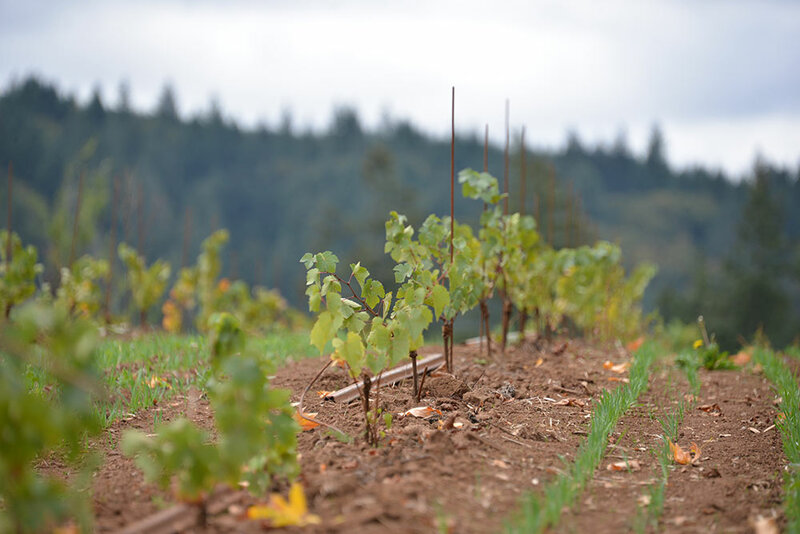 Located on a southeast-facing slope of the Willamette Valley's Chehalem Mountains AVA in the hills above Newberg, Oregon, the vineyard was first planted by Nick and Sheila Nicholas in 2001. The elevation varies from 350ft-650ft and the vineyard rows are planted in a north-south direction, benefiting from cool, drying winds through the 99W corridor which keep mildew and frost pressure at bay. The soils are primarily Loess (wind-blown ice age sediment) with bedrock and outcrops of volcanic Jory soils and deposits from the Missoula floods. Of the original 27 vineyard acres, five 5-acre blocks are Pinot Noirs planted to Pommard as well as Dijon Clones 114, 115, 667 and 777 on varying rootstocks, as well as an additional acre each of Riesling and Gewurztraminer. In 2008, the family planted a further six acres according to the biodynamic calendar which saw their first harvest in 2011. The new vineyard is planted in 2-acre blocks to Riesling, Chardonnay and Wadenswil Pinot Noir. In 2014, the Nicholas' downsized their ownership to six acres, still purchasing fruit from the original plantings to make their wine. Anam Cara wines are both L.I.V.E. (Low Input Viticulture and Enology) and Salmon Safe.